Raaga.com: Three Cheers for SS Rajamouli's BAAHUBALI; wins first Best Special Effects Award! 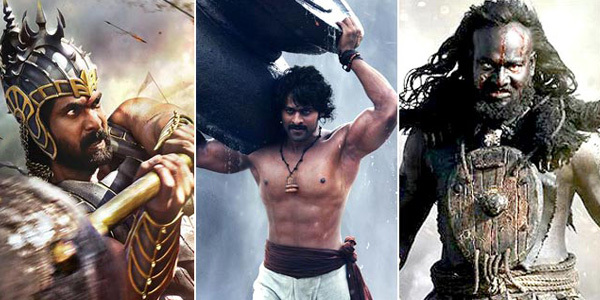 Three Cheers for SS Rajamouli's BAAHUBALI; wins first Best Special Effects Award! SS Rajamouli's BAAHUBALI has been making waves as a movie par excellence both in terms of its superlative content and of course it technical brilliance from day one, when it was first released on July 10, 2015. After breaking box office records and becoming India’s first non-Hindi film to enter the 500 Crore club the movie added another feather in its cap. The movie has fetched its First Major Award – the much deserved Best Special Effects Award given by the esteemed NDTV Gadgets Guru Awards at a function held at Hyderabad. It may be noted that the NDTV Gadgets Guru Awards in Best Special Effects is more precious for the movie, particularly because, the award is the ‘Country's Biggest Awards’ in the field of Consumer Electronics, Gadgets and Technology. Thus unlike the countries’ other popular awards like Filmfare, Screen etc the NDTV Gadgets Guru Awards is more worthy as it is judged by a jury who excels in Electronics, Gadgets and Technology! The award was accepted by actor Rana Daggupati, in the absence of the Special Effects team of BAAHUBALI. Accepting the award Rana Daggupati did not forget to mention visual effects supervisor Srinivas Mohan because it was his excellence that played a pivotal role in making the movie a visual treat with splendid imagery - exquisite waterfalls, dazzling snow-covered mountains and an awesome terrain of the kingdom. Readers may be aware that the same special effects team of BAHUBALI was same who excelled the special effects the Hollywood film JURASSIC WORLD. The production team had spend a whopping 85 crore on visual effects only. In fact the movie has approximately 4,500-5,000 VFX shots! That means 90 per cent of the movie has complex computer-generated imagery (CGI) and VFX shots. So the Best Special Effects is hundred percent worthy!! !